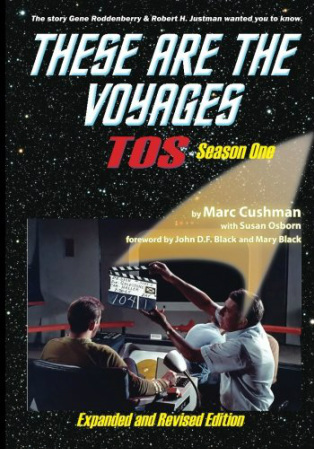 The long-awaited fourth book in Marc Cushman’s Saturn Award-winning These Are the Voyages series is scheduled for release on February 15, 2019. But you can pre-order your copy now, and be one of the first to receive the book, signed by the author. These Are the Voyages: Gene Roddenberry and Star Trek in the 1970s, Volume 1 (1970-75), in hardback and 768 pages in length, with hundreds of pictures, is the first in a two-book set chronicling the period in Star Trek history spanning the cancellation of the original series and continuing through the making and release of 1979’s Star Trek – The Motion Picture. In between these two events, Star Trek became a worldwide phenomenon. Factors in this renaissance were a boom in syndication, the coming of the conventions and fanzines, and an unparalleled expansion in merchandising. As the number of fans multiplied in massive proportions, and the reruns of the “Classic 79” episodes topped the ratings for their time slots in cities across America and around the world, curious developments were taking place behind the scenes. Volume 1 opens with a foreword by the legendary D.C. Fontana (Star Trek writer extraordinaire, Original Series story editor, and Animated Series associate producer). It focuses on the first half of the decade, including Roddenberry projects Pretty Maids All in a Row, Genesis II, The Questor Tapes, Planet Earth, Strange New World, Star Trek: The Animated Series, and much more. Volume 2 (scheduled for Summer 2019) picks up the story with the second half of the 1970s. It will narrate Roddenberry’s final pilot film of the decade, Spectre, plus the aborted “Phase II” Trek series, the numerous starts and stops for a movie version, and, lastly, Star Trek – The Motion Picture. No stone is left unturned. Each copy will be signed by the author (you may also request a personal inscription). The release date is scheduled for February 15, 2019. But – beginning February 1, all pre-release purchases will be shipped (in the order they were received), before the book is available through retailers such as Amazon and Barnes & Noble. The sooner you order, the sooner you will receive your copy! Long Distance Voyagers released January 2018, in conjunction with the 50th anniversary of the release of Days of Future Passed. 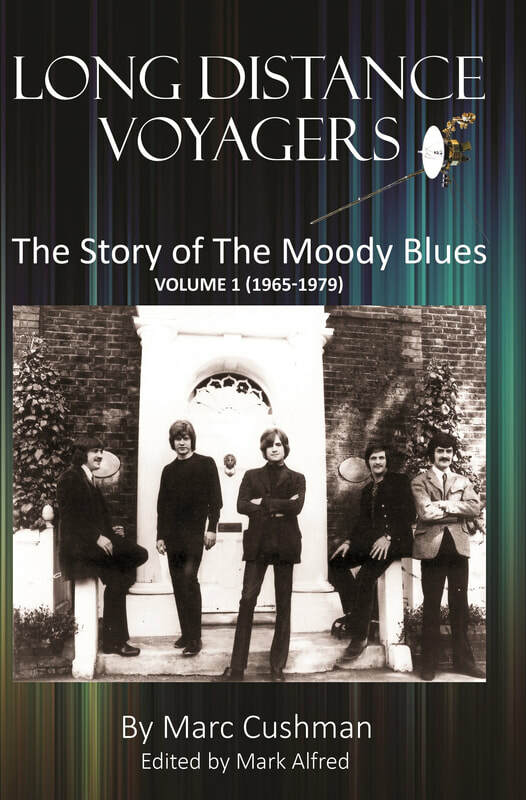 The startling and endearing stories behind the Moodies rich musical past are now in your future. This meticulously researched book is over 800 pages with hundreds of photos and interviews. This is a beautifully bound, hardcover book with a dust jacket. 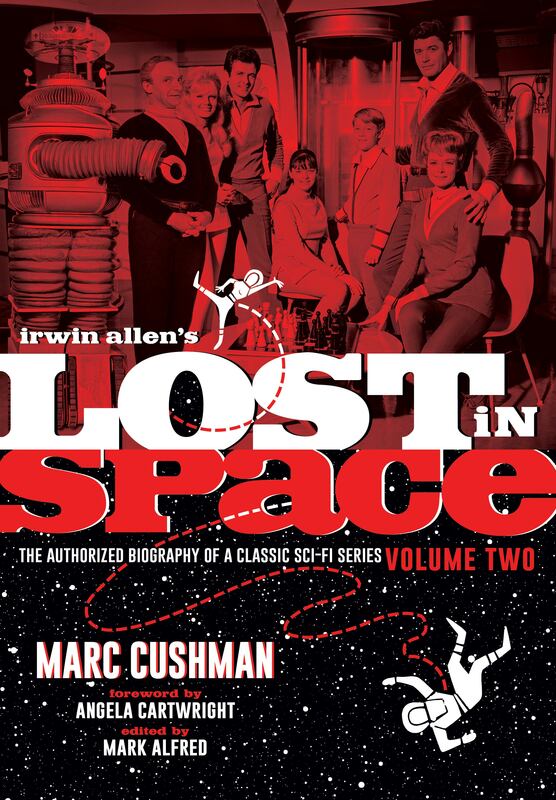 Irwin Allen's Lost in Space documents the early career of Irwin Allen. It is a true rags-to-riches story, as Allen ventures from a humble beginning in the Bronx to his later incarnations in Hollywood as an entertainment journalist, radio and television host, a literary agent – all before becoming a successful motion picture producer and director. After winning an Academy Award in 1954, Allen entered the fantasy genre with films such as The Lost World and Voyage to the Bottom of the Sea. He then rolled the dice again with a move into television, creating and producing Voyage to the Bottom of the Sea and, one year later, Lost in Space. 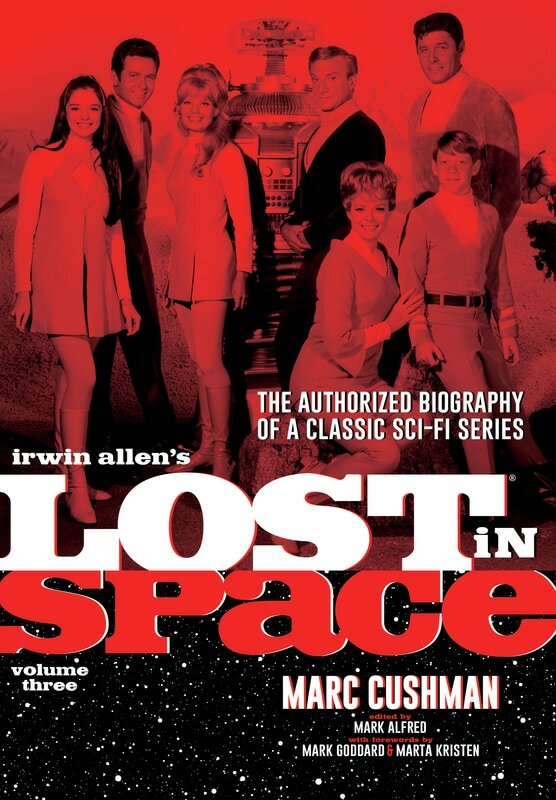 Lost in Space was the prime time weekly series to take viewers into outer space’s strange new alien worlds – something the networks believed impossible on a TV budget and schedule. In this book you’ll be whisked back in time to the production offices, writers’ conferences, and sound stages for the making of this iconic series. Included are hundreds of memos between Allen and his staff; production schedules; budgets; fan letters; more than 300 rare behind-the-scene images; and the TV ratings for every episode. Experience the time tunnel that will take you back to the final chapter of the making of this iconic television series. 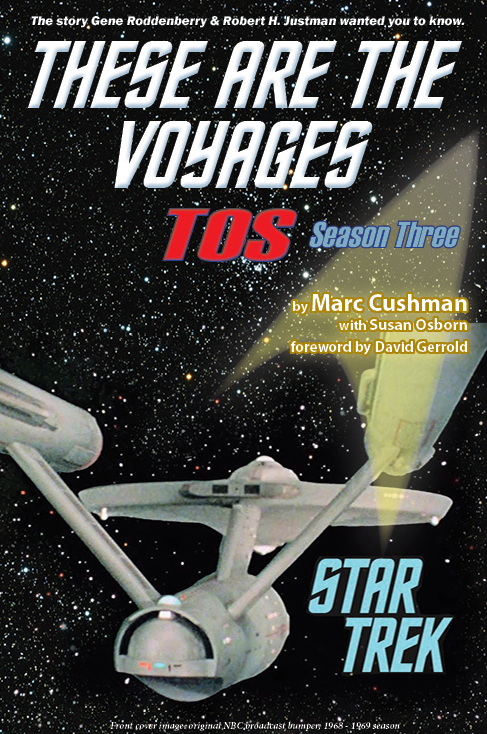 In the late 1980's Gene Roddenberry and Robert H. Justman gave ﻿Ma﻿rc Cushman permission to write the definitive history of Star Trek. They backed their stamp of approval by providing documentation never shared with anyone before. After more than two decades of in depth research and interviews, this extraordinary work is ready to be shared with the galaxy. Jacobs Brown Press "Where truth is better than fiction"
Uncover secrets and surprises about favorite episodes like The Trouble with Tribbles, Amok Time, and Journey to Babel. 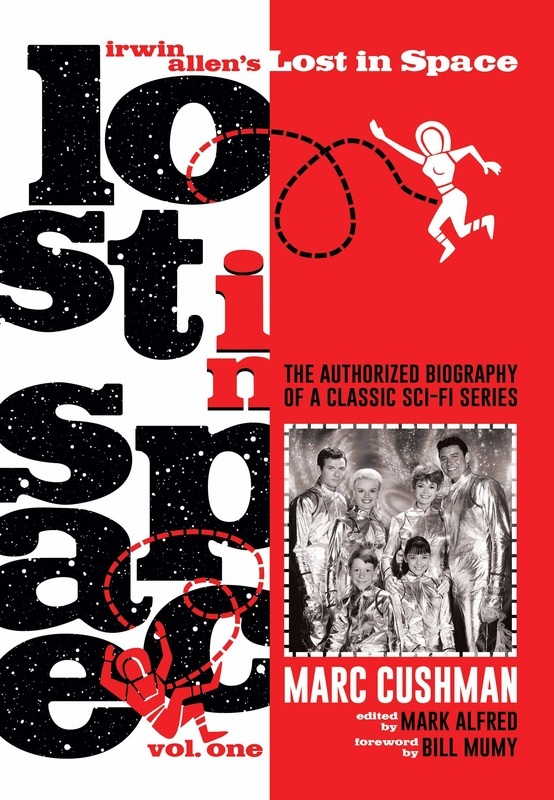 HARDCOVER and signed by Marc Cushman when you buy through Jacobs Brown Press. "Perhaps the reason I like Season Three the most is that it has more new information - more surprises - than even the other two. And that says a great deal, because Season One and Two were filled with new insights. With all three seasons, I experienced the thrill of discovery as I did my research, and I was happy to know that others like myself could experience it through the books. But I always had more questions about Season Three - about the choices that were being made. I wanted to know what they were thinking. And, just as important, how they felt. And now I know. And you will soon know too." HARDCOVER and signed by Marc Cushman when purchased through Jacobs Brown Press. One of the most popular and award-winning television series of the sixties, I Spy was the first weekly broadcast to star both a white and a black actor. In 1964, though, producer Sheldon Leonard had, with heavy risk, financed the show himself, and his idea for a racially incorporated cast had earned his show the moniker "Sheldon's Folley." Pairing established white actor Robert Culp with Bill Cosby, a black comedian with barely an acting credit to his name, certainly turned some heads at NBC, and many wondered whether affiliates in the South would ever air the show. Only two years later, Cosby accepted the Emmy for leading actor-and I Spy cemented its role in history. 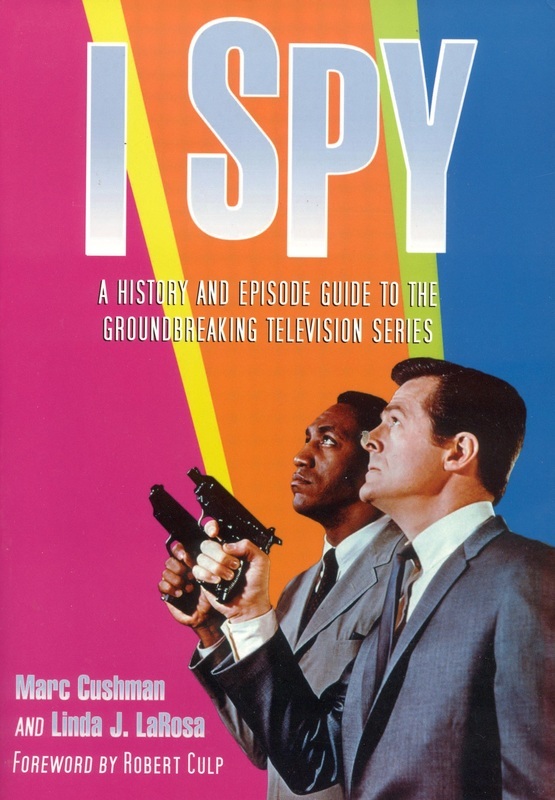 This is a complete history of I Spy and the profound change it evoked in broadcasting, social ideals and racial equality. Rich with interviews and photographs, it discusses I Spy's unique approach to race, co-starring interracial actors as equals. 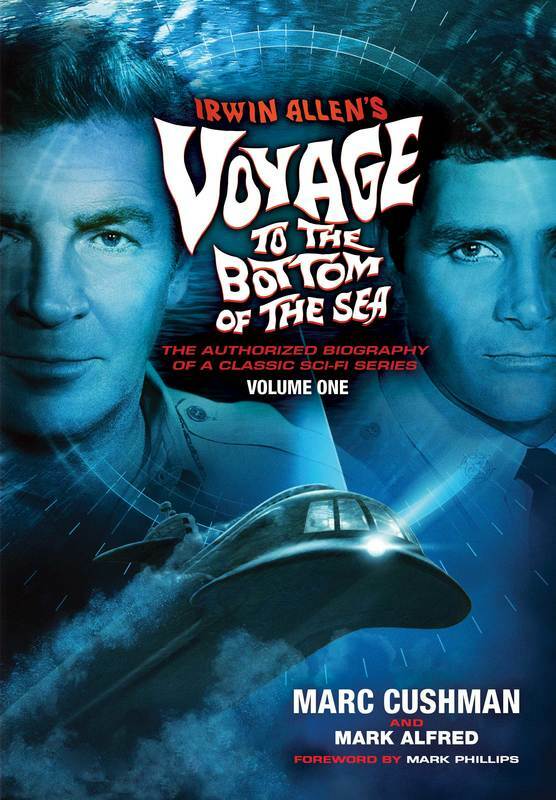 It also describes how the show became the template for popular "buddy genre" shows and films that followed, covers the show's significance as the first series to shoot episodes around the world, and puts I Spy in context with other works within the spy genre at a time when spy books, shows and films exploded in popularity. A complete episode guide includes writers, directors, cast, crew, plot synopsis and commentary.